It's always a thrilling experience for an author when they get the cover for a new novel. As the author, you hold the world of your novel in your head, so it's always fascinating to see an artist's rendition of that world. We gave Kensington a challenge this time as Meg and Hawk entered the dangerous and uncertain world of urbex—urban exploration—and we wanted to see one of those search scenes, as well as both Meg and Hawk, on the cover. Well, they really hit it out of the park with this one and we're thrilled with it. For Meg Jennings and her K-9 companion, Hawk, exploring the ruins of a deserted building is an exciting way to sharpen their skills without the life-or-death stakes they face as part of the FBI’s Human Scent Evidence Team. But deep in the echoing rooms of an abandoned asylum, Hawk finds the body of an elderly woman. The victim couldn’t have made her way into the derelict building on her own. Before forty-eight hours pass, Meg learns of more cases of elders found dead in neglected urban structures. There’s not enough evidence to link the deaths—yet. But Meg scents a pattern, and when she gets word of another senior gone missing, she and Hawk don’t hesitate. Meg is sure a murderer is hunting the elderly, and she can prove it if she can just find a connection. It will take the expert coordination of her whole team, along with help from Clay McCord and Todd Webb, to uncover the means, let alone a motive. And to stop someone who has operated in the dark for so long, Meg will need to risk more than she has to give . . . 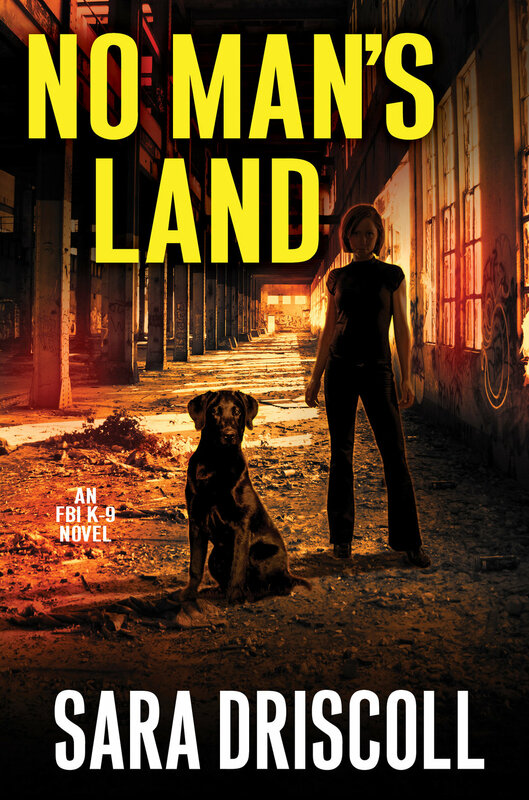 I'm also happy to announce that NO MAN'S LAND, which releases on November 26, 2019, is up for pre-order at these fine retailers: Amazon.com, Amazon.ca, Amazon.co.uk, Barnes and Noble, Books-A-Million, Hudson Booksellers, and Indigo. Love the series? Please consider pre-ordering. The more early sales, the better chance we have of seeing more of Meg and Hawk's continuing adventures in future books. Thank you! !